Jacob Rees-Mogg says he believes Theresa May’s Brexit deal could be “reformed” to win round opponents. The Brexiteer – one of 118 Tory MPs who voted against the deal last week – said he had more optimism that “things were going our way”. But he said as long as the Northern Ireland “backstop” was part of the deal he would not vote for it. The EU’s negotiator Michel Barnier said there were currently only two Brexit options – the PM’s deal or no deal. And he warned that even if MPs decided to take no deal off the table, it would not stop it from happening unless there was “a positive majority for another solution”. The backstop element of Mrs May’s deal seeks to keep a border open between Northern Ireland and Ireland with no checks on people or goods regardless of what deal is signed. 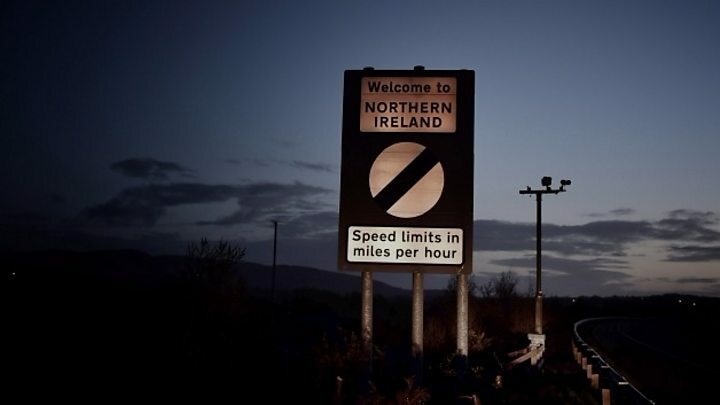 But critics say it keeps Northern Ireland too closely aligned with the EU and separate from the rest of the UK – and that the UK would be permanently trapped in it. What is the latest from Parliament? 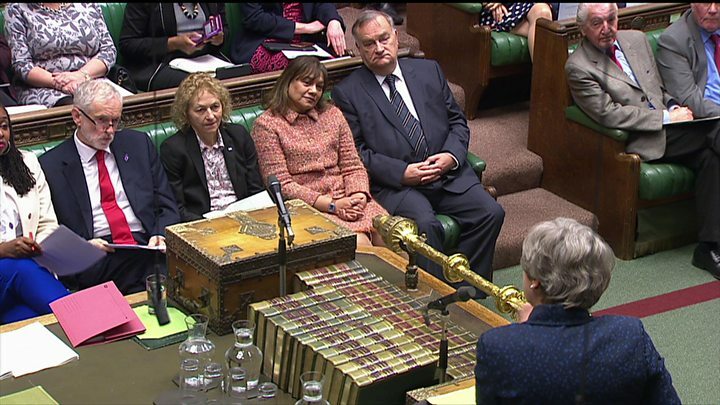 MPs – many of whom oppose a no deal Brexit – are proposing alternative plans to the PM’s deal with the EU, including seeking an extension to the UK’s exit date. The UK is currently scheduled to leave at 23:00 GMT on 29 March. The other 27 EU member states would need to agree such an extension. 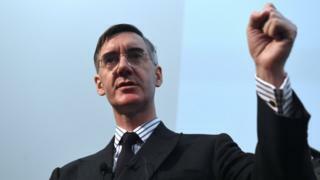 Mr Rees-Mogg suggested that the government could use “prorogation” – a procedure to shut down Parliament – to stop any backbench bills trying to delay the UK’s departure. The constitutional move would involve the agreement of the Queen to bring the current session of Parliament to an end early and Mr Rees-Mogg called it the “government’s backstop” to ensuring Brexit went ahead. But Mrs May has said the “right way” to ensure Brexit, and rule out no-deal, was to approve her withdrawal agreement. Media captionJeremy Corbyn asks PM about “third of her government at the billionaires’ jamboree in Davos”. 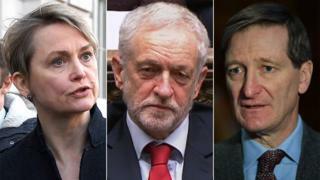 Labour leader Jeremy Corbyn accused her of having a “closed mind” to other Brexit options – such his party’s plan for a customs union with the EU – which he believes a majority of MPs could get behind. He also repeated his call for the PM to rule out no deal. But Mrs May attacked the Labour leader for refusing to take part in cross-party talks with her on the way forward and accused him of not understanding his own policy and its “implications” for UK trade. The PM met the Scottish and Welsh first ministers for talks on the next steps for Brexit on Wednesday afternoon. But speaking after the meeting in Downing Street, Scottish leader Nicola Sturgeon said there was “no real sign of any willingness to compromise”. Ms Sturgeon, who wants to seek an extension to Article 50 – the mechanism that sees the UK leave the EU on 29 March – said: “There wasn’t much indication that the prime minister is listening to, or hearing the concerns of people in Scotland, and no doubt across the UK, about trade, the economy and population. Wales’ First Minister, Mark Drakeford, said the prime minister “repeated many of her red lines” during his meeting at No 10. He said that if the House of Commons remained deadlocked, then “going back to the people will have to be the way forward” and “a prosperous future for Wales is secured by continuing membership of the EU”. Are Brexiteers warming to the PM’s deal? Mr Rees-Mogg – who is the chairman of the pro-Leave European Research Group – gave a speech in Westminster on Wednesday saying he wanted a deal, but could not vote for Mrs May’s plan while the backstop was in place. “Everybody wants a deal; the prime minister wants a deal, the EU wants a deal and the Irish wants a deal,” he said. The prime minister’s supporters say they believe some opponents of Mrs May’s deal are now willing to consider backing it because of the moves by other MPs to delay Brexit. Are Brexiteers softening on May’s deal? Neither Jacob Rees-Mogg nor Boris Johnson are ready to say they will back Theresa May’s deal (and I don’t suppose either of them have much in common with the Gallagher brothers either). But after weeks of behaving as if the prime minister’s compromise agreement with the EU is a heinous political crime about to be inflicted on the country, they are singing a rather different tune. Yes, they are explicit. They absolutely do not want to accept the controversial backstop for reasons we’ve discussed here more times than I care to remember. But the band of Brexiteers are talking now about the possibility of being able to back the deal. Are there signs of movement from the EU? Not on the Irish backstop – chief negotiator Michel Barnier has said the EU would not be willing to put a time limit on it. But he said the backstop was not the “central issue” and the debate was now about the future shape of the UK’s relationship with the EU, after it leaves with a deal. “We’re cooperating with the British government. Things could start moving rapidly,” Mr Barnier told The Luxembourg Times. Speaking later, Mr Barnier said there appeared to be a majority in the House of Commons to oppose a no-deal “but opposing no-deal will not stop no deal from happening at the end of March… a positive majority for another solution will need to emerge”. Labour MP Yvette Cooper has tabled an amendment that would give time for a bill to suspend the Article 50 process for leaving the EU if a new deal has not been agreed with Brussels by the end of February. It has been backed by several Remainer Conservatives and is the only amendment that would be legally binding on the government, if passed. Other amendments would ask the government to consider a range of options over six full days in Parliament before the March deadline or set up a “Citizens’ Assembly” to give the public more say. Shadow chancellor John McDonnell told the BBC’s Newsnight that it was “highly likely” the party would back Yvette Cooper’s amendment, which would significantly increase its chances of getting through. 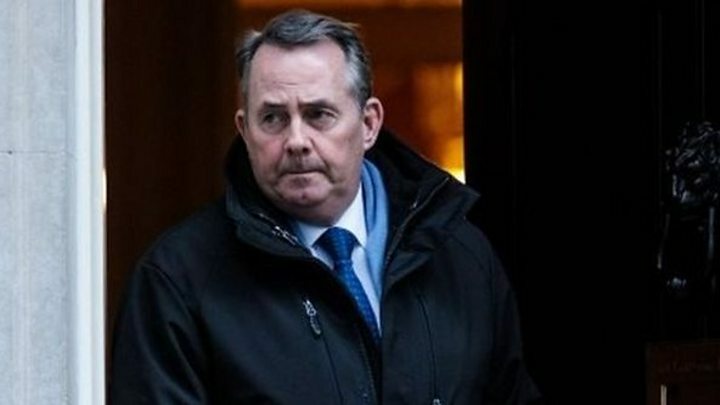 International Trade Secretary Liam Fox said delaying or cancelling Brexit with such amendments would be a “calamitous” breach of trust with the electorate and worse than leaving the EU with no deal, accusing those of pushing for a delay of actually wanting to stop Brexit. But Conservative Remainer Anna Soubry said it was “not true” that Tory MPs backing the move wanted to stop Brexit as they had voted for Mrs May’s deal. Her colleague, Nick Boles, said Mr Fox had “never been very good at detail”. What’s the latest on the backstop – and what is it? The backstop is a position of last resort, designed to maintain an open border on the island of Ireland whatever arrangement the UK and the EU end up with. At present, goods and services are traded between the two jurisdictions on the island of Ireland with few restrictions because the UK and Ireland are both part of the EU single market and customs union, so products do not need to be inspected for customs and standards. But, after Brexit, all that could change – the two parts of Ireland could be in different customs and regulatory regimes, which could mean products being checked at the border. Both the UK and the EU worry that having a visible border could put the peace process at risk.